Andrew Curtis‘ new exhibition is Moonlight Mile, eerie night photographs of mounds of earth. These are dark, scale-less images that continue in a similar vein from his earlier projects Underpin (2006) and Slab (2003). 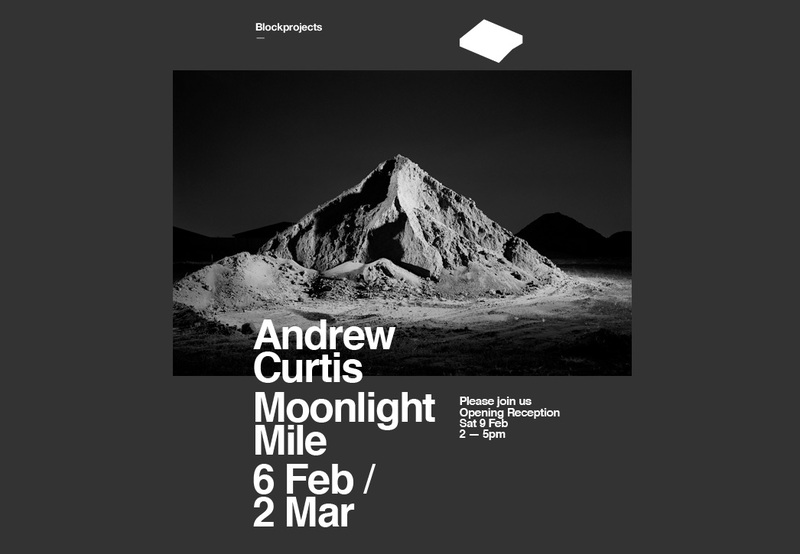 Moonlight Mile runs at Blockprojects in Richmond from February 6 to March 2. 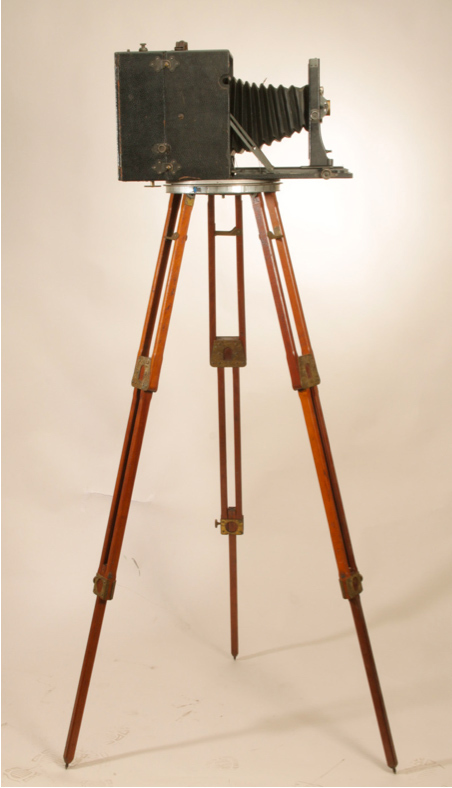 This ugly duckling is an Ernemann Ermanox camera, manufactured from 1924. It has an f2 lens, huge for its day, and there was even an f1.8 version. 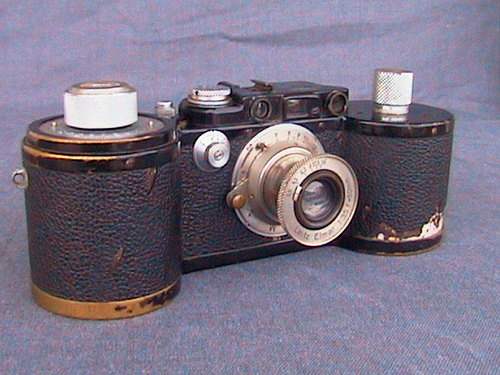 The Ermanox, along with the Leica, revolutionized candid photography in the 1920s, but the Ermanox lens, two stops faster than the Leica, permitted low light shooting with relatively fast shutter speeds. 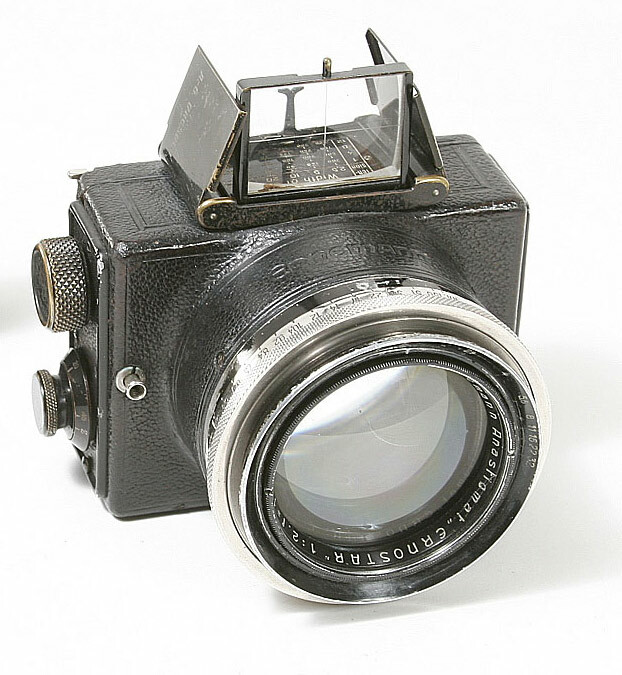 The film format was 6×4.5 cm, familiar in more recent times from the Mamiya 645 cameras so popular with wedding photographers. But that was with 120 roll film, and the Ermanox used cut film, you had film holders with single shots, not a roll of film with 16 shots. 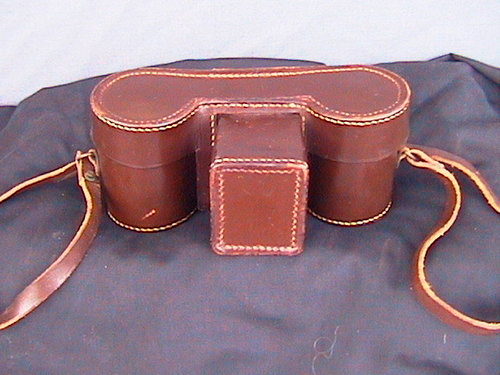 Its extreme compactness and light-gathering power meant that photojournalists could use it discretely and without a tripod. One such was Erich Salomon, famous for his semi-secret photos of politicians at meetings. Salomon would dress up and look well-groomed – see the portrait below – and he would not be noticed in a room of high-ranking diplomats (despite that strange staring expression). Then, without fuss, he would take his revealing photos of the powerful people of Europe in their smoke-filled salons. It was a first and the newspapers snatched them up. In the long run though, it didn’t help him. After years in the company of the high and mighty, he ended up in Auschwitz where they killed him in 1944. 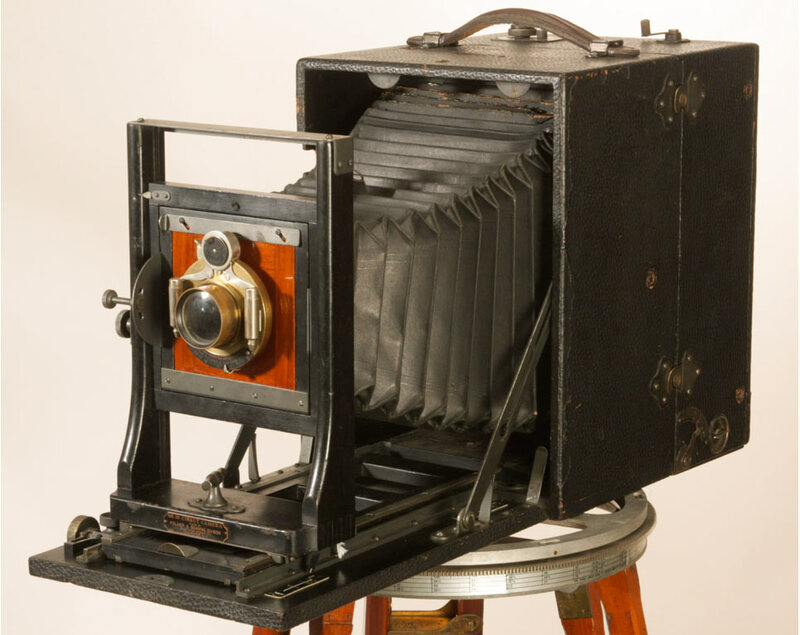 For $3200, you can own an Ermanox and take photos like Erich Salomon. Find it here on ebay. 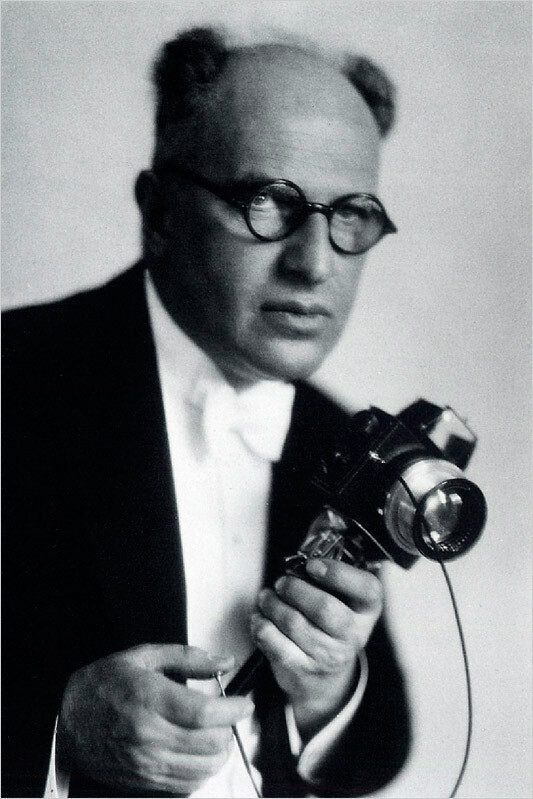 Erich Salomon with his Ermanox. 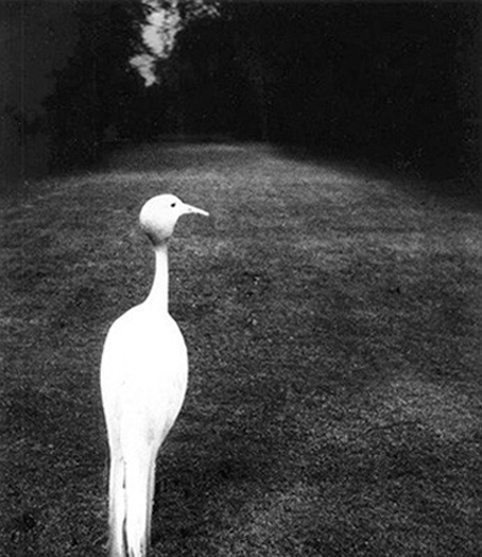 Erich Salomon photo. 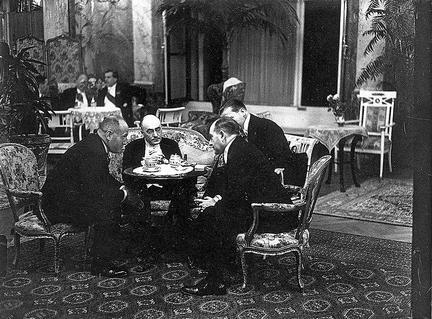 Mussolini on the left talking with a delegation of German diplomats in 1931. I’m working on an exhibition with Greg Wayn to open in mid-February at Edmund Pearce gallery. The exhibition is called Chemistry of Chance and will be an exercise in Concrete photography, (subject of an earlier post). ‘Concrete’ is distinguished here from ‘abstract’. Concrete means real or actual, a thing that is itself and nothing more. Abstract is used for works that may appear non-representational but are derived – abstracted – from representational imagery or things in the world. This work is non-representational, it has no referent in the world outside of itself. 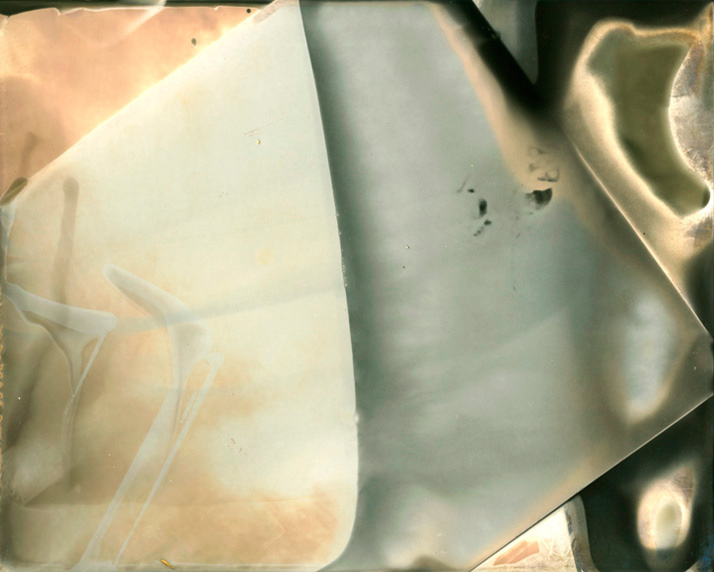 The images were generated by the chance interactions of developer chemicals, water and air, in the waste bins of college darkrooms. Impatient students, seeing disappointing results appearing in the developer, throw the dripping prints into the bins where they change in the darkness in alchemical ways. The artist here is blind chance, no human intention is involved not even by the student. The weird and beautiful patterns that occur are only discovered at the end of the day when the weary teacher tidies the darkroom. By that time the print has dried, rendering any image permanent, I have some that are thirty years old. 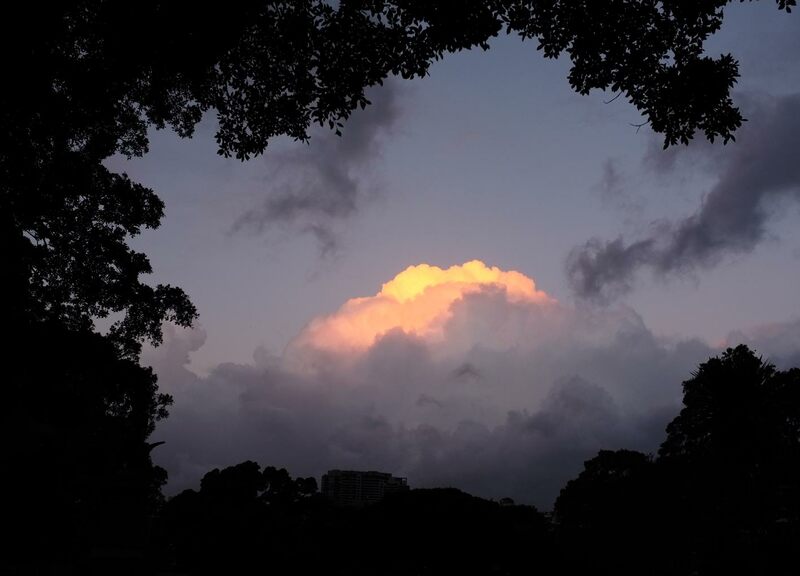 The images are selected by the normal criteria of visual art, form, colour, balance etc. They are scanned and Photoshopped to bring out what was perceived in the original print. They are not cropped. The serial number of this Leica 250 Reporter indicates it was made in 1942-43. Is that significant to you? Well, it was smack in the middle of World War Two, and this is a German camera! It would be fascinating to see its provenance, who owned it and what they used it for. The website pacificrimcamera.com states that production ceased in 1942. That would place it near the end of the run of about 1000 units. It’s a rarity, and it will be interesting to see what it goes for on ebay. 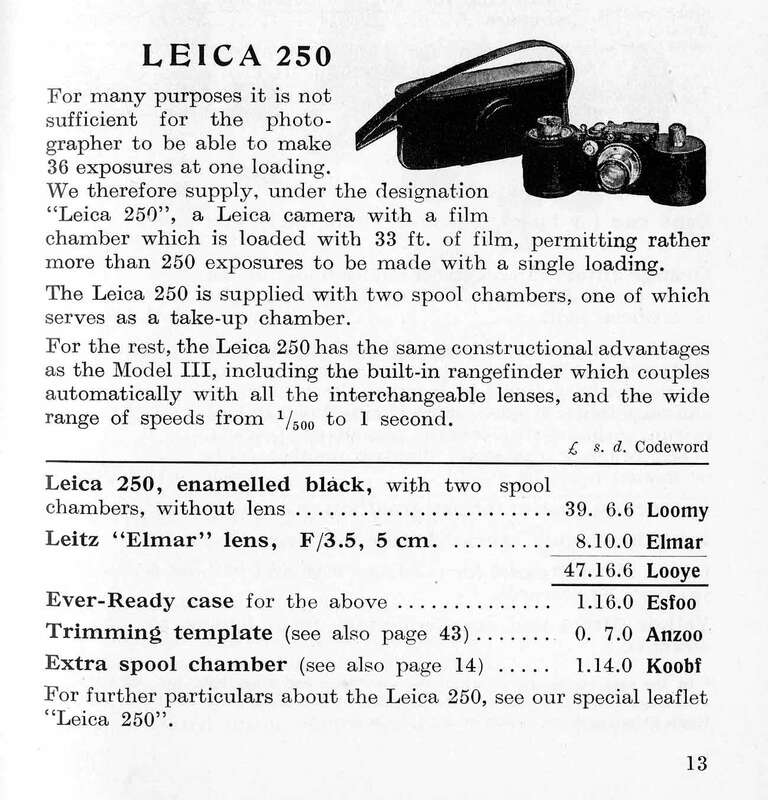 My Leica General Catalogue for 1936 states that the ‘250’ as it was then called was priced at £47.16.6. That’s with the standard 50mm f3.5 Elmar lens. It was about £7,350.00 in today’s money, or AU$11,150 (according to measuringworth.com). Cheap by today’s prices. The case alone is worth the price!